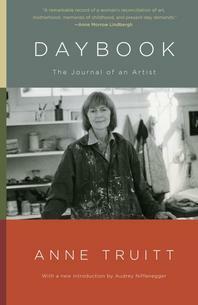 Renowned American artist Anne Truitt kept this illuminating and inspiring journal over a period of seven years, determined to come to terms with the forces that shaped her art and life. Her range of sensitivity—moral, intellectual, sensual, emotional, and spiritual—is remarkably broad. She recalls her childhood on the eastern shore of Maryland, her career change from psychology to art, and her path to a sculptural practice that would “set color free in three dimensions.” She reflects on the generous advice of other artists, watches her own daughters’ journey into motherhood, meditates on criticism and solitude, and struggles to find the way to express her vision. Resonant and true, encouraging and revelatory, Anne Truitt guides herself—and her readers—through a life in which domestic activities and the needs of children and friends are constantly juxtaposed against the world of color and abstract geometry to which she is drawn in her art.